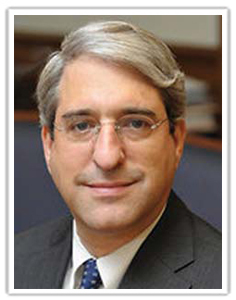 Peter Salovey, PhD was recently appointed 23rd president of Yale University. He has been a member of the Yale community since 1981, first as a graduate student (earning MS, MPhil, and PhD degrees), then a faculty member, chair of the Psychology Department, dean of the Graduate School of Arts and Sciences, dean of Yale College, and provost. Salovey has authored or edited over a dozen books that have been translated into eleven languages, and has published more than 350 journal articles and essays, primarily on the topic of human emotion and health behavior. 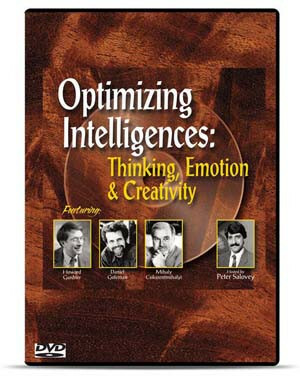 With John D. Mayer, he developed a broad framework called “Emotional Intelligence.” This now well-known theory posits that just as people have a wide range of intellectual abilities, they also have a wide range of measurable emotional skills that profoundly affect their thinking and action. Salovey has served on the National Science's Foundation's Social Psychology Advisory Panel, the National Institute of Mental Health Behavioral Science Working Group, and the NIMH National Advisory Mental Health Council. He was a recipient of National Science Foundation Presidential Young Investigator Award, a National Cancer Institute CIS Partner in research award, and a Substance Abuse and Mental Health Services Administration Excellence Award. Salovey served as President of the Society for General Psychology and Treasurer of the International Society for Research on Emotion. He was the founding editor of the Review of General Psychology and an associate editor of Emotion and Psychological Bulletin. Has won both the William Clyde DeVane Medal for Distinguished Scholarship and Teaching in Yale College and the Lex Hixon ’63 Prize for Teaching Excellence in the Social Sciences. In 2009 he received an honorary doctorate from the University of Pretoria in South Africa. 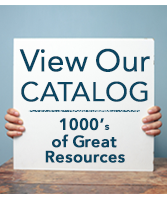 Salovey is featured on two of National Professional Resources' classic professional development videos: Emotional Intelligence: A New Vision for Educators, and Optimizing Intelligences: Thinking, Emotion & Creativity. 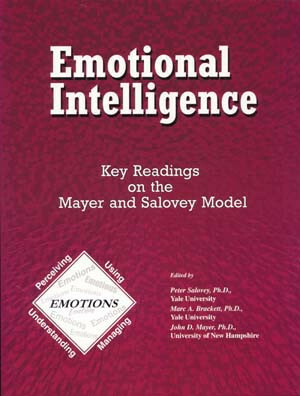 With John D. Mayer and Marc Brackett, Salovey co-edited the book, Emotional Intelligence: Key Readings on the Mayer and Salovey Model, a publication of National Professional Resources, Inc./Dude Publishing.